After doing a handful of children-centered themes, it’s sometimes refreshing to mix in some adult parties once in a while! The client (who also happened to be my friend), Jiselle, wanted to throw an awesome 60th birthday party for her dad, Jeffrey. 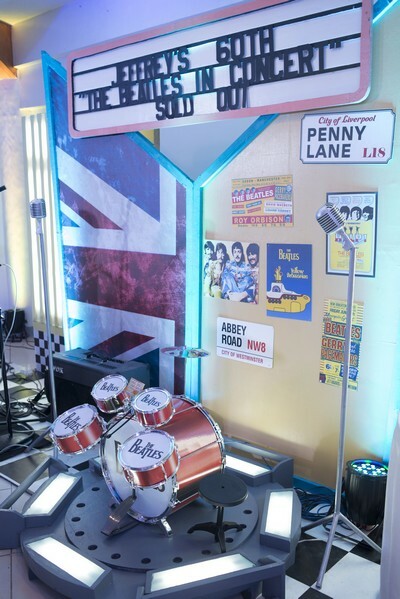 The theme: Beatles! This was a real fun theme to play around with, so I immediately rolled up my sleeves and dove to the challenge. There are a number of ways to do a Beatles theme; one is to focus on the band’s more serious, melancholic, and rebellious aspect (think about their songs Imagine, or Revolution), which is not at all bad actually. But since it was me doing it, we did it the Party Magic way: fun, colorful, quirky, cool, and psychedelic! Think of Come Together, or Penny Lane. Ever since our baking-themed party, I’ve been itching to create another pastel, food-based themed party, simply because it combines both of my passions: styling and eating! 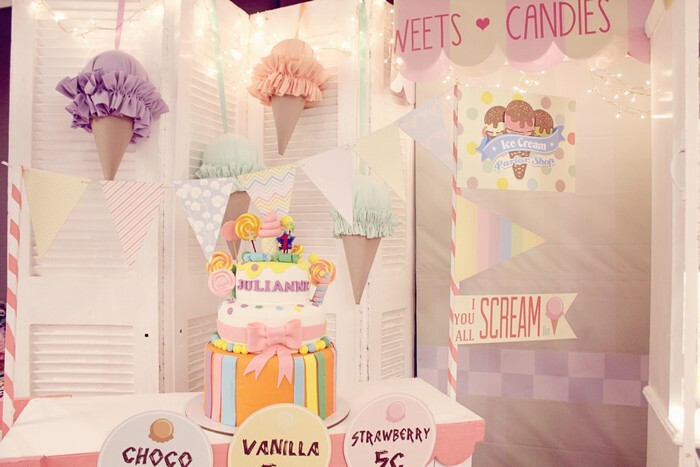 This party actually started off with the general idea of “candies” and “sweets”, with the client, Kathy, simply asking for a girly, pastel aesthetic. By the end of the meeting, we decided to focus on the more specific element of the ice cream. Ice cream will always (and forevermore) occupy a special place in everyone’s hearts simply because eating it transports us back to our carefree childhood days. Think chocolate, vanilla, Magnolia, Selecta, Merry Moo, Carmen’s Best (yum)! Whenever my husband eats ice cream, for example, he doesn’t know it but he smiles! Because of the nature of styling, every once in a while it is such a breath of fresh air to do a party that is just good, old-school fun. In this case, that old-school fun is none other than Transformers! 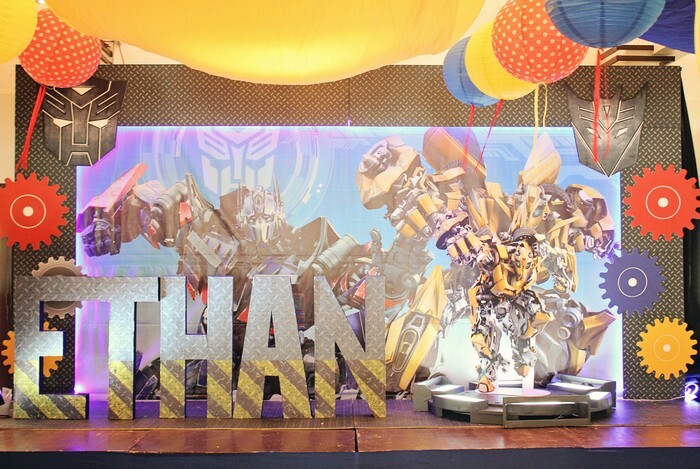 The challenge for this particular party was, how do you use the natural elements of styling (ie, the use of actual props instead of balloons) and translate it into something that is recognizably Transformers? Given that this is a theme that is traditionally executed via balloons and styrofoam backdrops, it was definitely going to take up a lot of brain power!